Fresh, light and delicious! 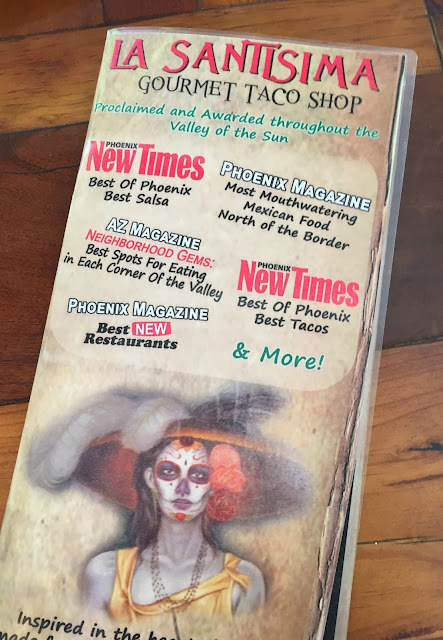 One of the best taco restaurants in the Phoenix, Arizona area! 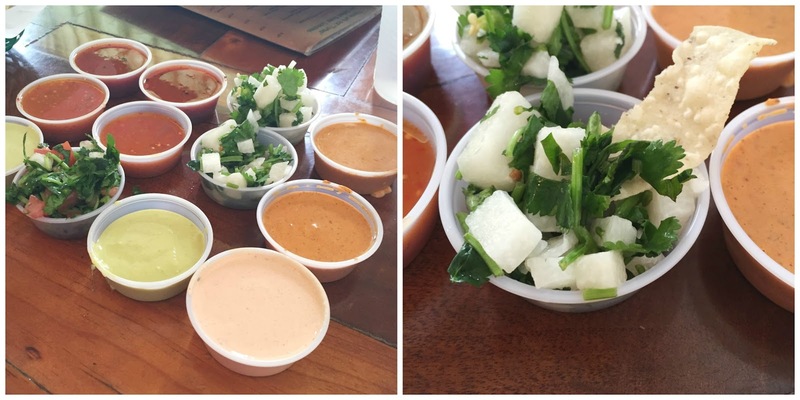 A new favorite place to get your Mexican food fix! 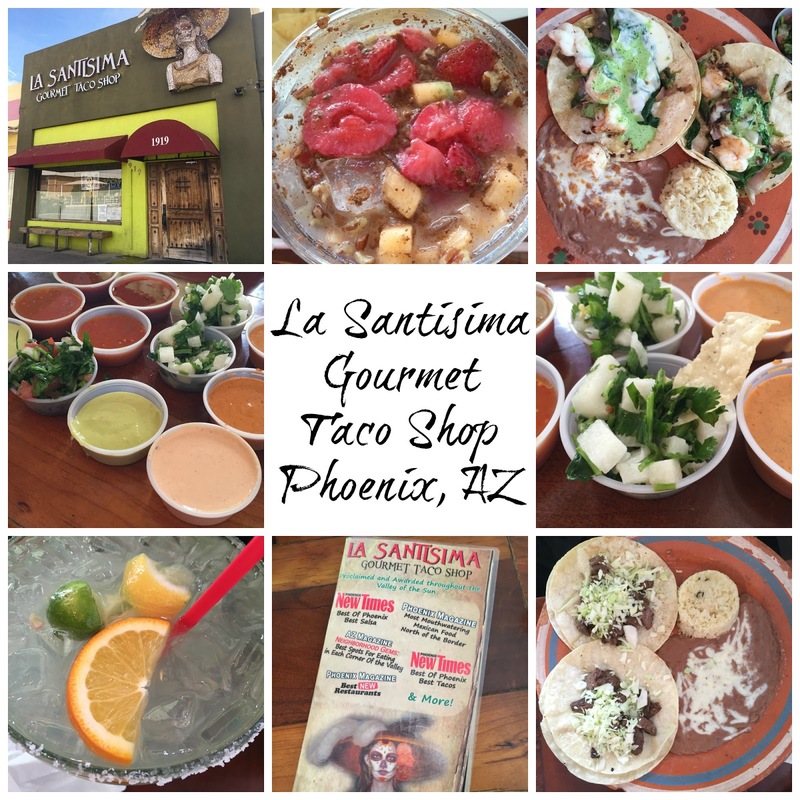 Are you visiting Phoenix for the first time, or just looking for a new favorite place to eat? Look no further! La Santisima is that spot! I first tried La Santisima in February 2016. My boyfriend and I were visiting Phoenix for the first time and after doing some research online, we decided to put this on our list of must try restaurants. We went back again in September of 2016 and loved it just as much as the first time! Central Minnesota does't have much to offer when it comes to authentic Mexican, so I wanted to try the real deal. The building looks like a small, little hole in the wall, and that's exactly what it is. The inside is small and cozy and there's almost always a line of people waiting to get in. It's well worth the wait. The food is fresh, authentic and the menu has such a wonderful variety of dishes to order. 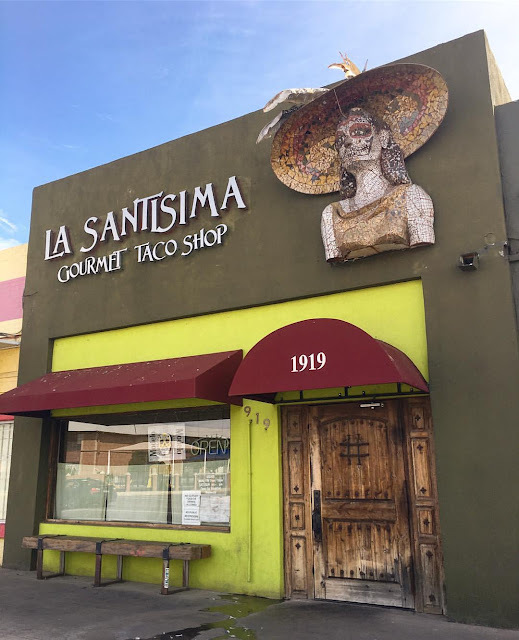 La Santisima has won alot of awards and has been featured in so many publications and TV shows including Diner's Drive-ins and Dives! We started off our visit with a margarita and a horchata. 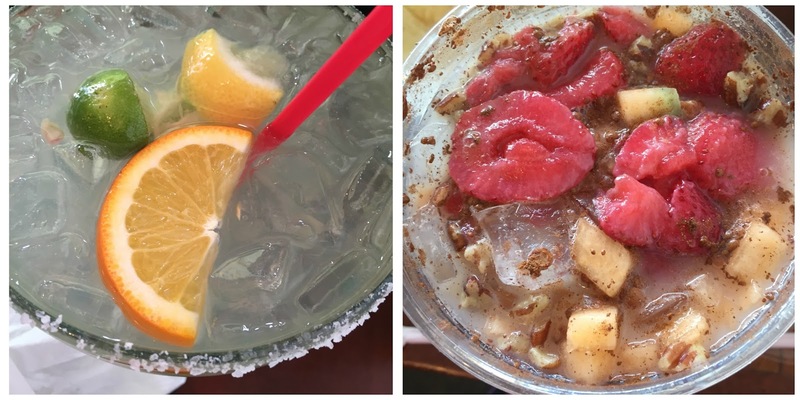 The margarita was one of the best I've ever had and the horchata was unlike any other. The addition of fruit pieces, cinnamon and pecans was so amazing! I've never had horchata like that since and cannot wait for the day when I can drink some again!! La Santisima is so unique! 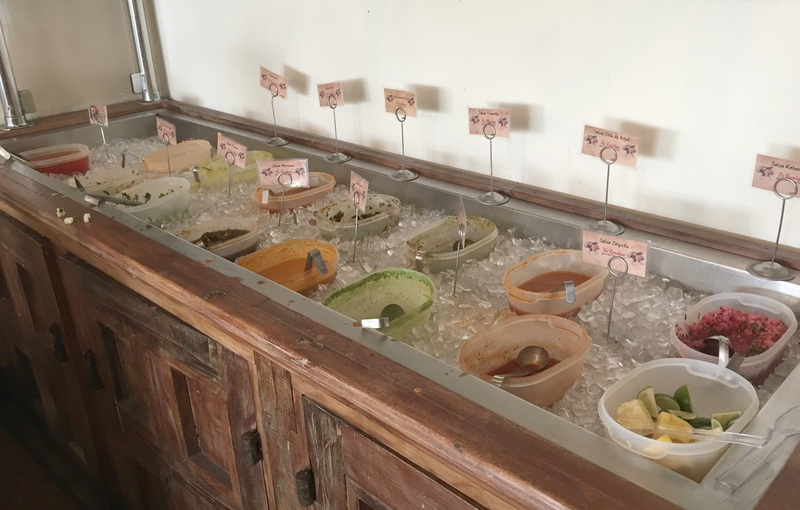 They have a salsa and sauce bar available, that you can eat with the freshly fried chips. All salsas are made fresh daily and there's something for everyone from mild to spicy and any flavor you can imagine! We loved almost all of them and even though I'm a wuss when it comes to heat, I really enjoyed some of the spicier ones too! I tried the La Condesa Shrimp Burro which was absolutely wonderful! The shrimp was perfectly cooked and the rice and beans were unlike anything I've had before! 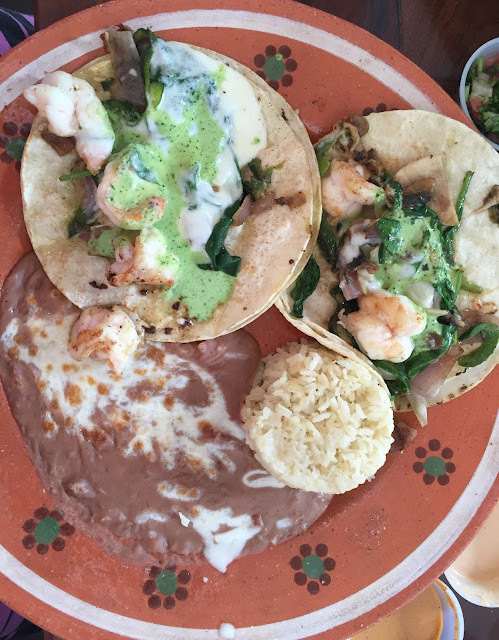 The La Condesa Shrimp Burro includes special cilantro cream, poblano pepper, onion, mushrooms, bacon, fresh garlic, Oaxacan cheese and rice. 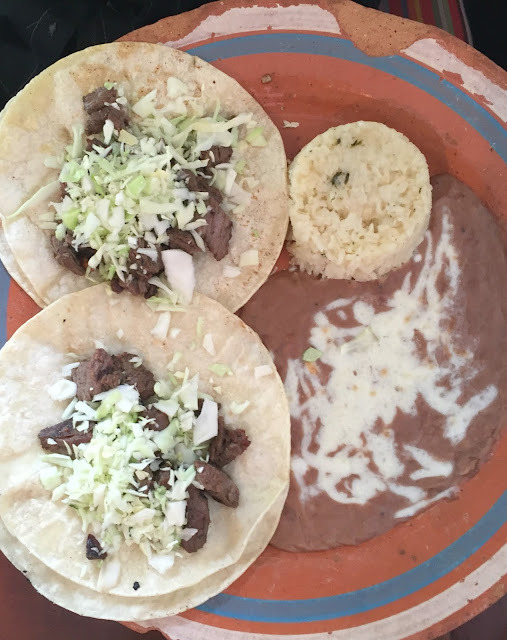 My boyfriend had the Sonoran Carne Asada Taco which was made with arrachera steak marinated with Mexican herbs, fresh garlic & olive oil, charbroiled with mesquite charcoal. The flavors were unique and the meat was so delicious charbroiled! La Santisima is a must try! We ate at the Phoenix location, but they also have a location in Glendale and Flagstaff as well. If you're ever in either area, make it a priority to stop and have lunch! If you liked this post, follow the Hot Eats and Cool Reads travel board on Pinterest here! I really enjoyed this place and you can definitely find me here for more events. I didn't eat anything when on my recent visit to Chicago event venues, but those around me had truffle fries, pizza, and wings all seemed to enjoy.